First 100 people in line when the doors open at 11 a.m. will receive a 'Social Status' t-shirt Saturday. 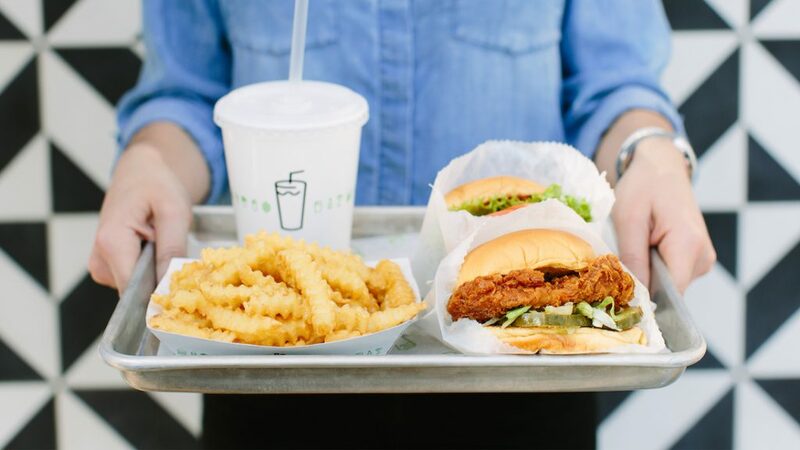 Shake Shack on Saturday will open along the Eastside Beltline Trail. The restaurant is situated in Edge on The Beltline, at 670 DeKalb Ave NE, Suite 103. For the grand opening April 13, the first 100 people in line when the doors open at 11 a.m. will receive a custom "Social Status" t-shirt. The 2,979 square-foot Shake Shack will feature a custom mural by local artist David Fratu and "green and eco-friendly construction" including tabletops made by CounterEvolution using reclaimed bowling alley lanes, chairs designed by Uhuru using sustainable materials, and booths crafted by Staach using lumber certified by the Forest Stewardship Council. It's the fourth Atlanta location for the “roadside” burger stand known for its 100 percent all-natural Angus beef burgers, chicken sandwiches and griddled flat-top dogs, frozen custard, crinkle cut fries and more. There's also a Shake Shack food truck driving around Atlanta that can be hired out for events. The shack will also feature the Georgia-exclusive Peachtree Shake, which is a salted caramel peach hand-spun shake. Local brews from Monday Night Brewing, Sweet Water Brewing Company, Three Taverns Brewery, and Creature Comforts Brewing Company will also be available plus Shake Shack’s Brooklyn Brewery ShackMeister Ale. string(34) "670 DeKalb Ave NEAtlanta, GA 30307"